If you love fishing and are contemplating an investment in Sea Island, Georgia real estate, a deep water lot with unfettered access to the Hampton River may be the way to go. The Hampton River is an important part of the island for anglers, bird watchers and boaters alike. Itâ€™s a fabulous place to cast a line and offers water access to the Hampton River Marina. 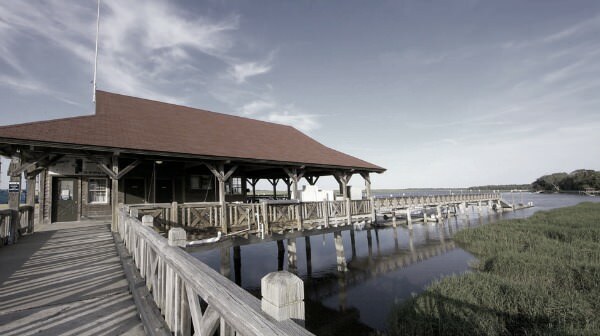 The marina is usually a hub of activity and offers transportation to Little St. Simons Island. Itâ€™s a popular, private destination that featuresÂ naturalist programs, boating, birding, fishing and seasonal turtle walks along the beach. Finding a deep water lot with direct access to the Hampton River can be tough. However, there happens to be one available right now. It is 0.670-acres and sports a built-in dock with 150-feet of prime water frontage. And if for some reason you donâ€™t want direct, deep water access, there are other lots for sale nearby. Youâ€™ll find at least two of them on Forest Road. One is 0.530-acres and the other is 0.460-acres. Both are ideal for golfers who like to go fishing after theyâ€™ve finished tackling the course with their nine-iron. But for now, letâ€™s get back to discussing the deep water lot. Many boaters and anglers use the Hampton River as a gateway to the Intracoastal Waterway, which is just past St. Simons Islandâ€™s northernmost section. So, itâ€™s common to see people start out in the early morning hours fishing for trout in the Hampton River and then move on to deep-sea fishing later in the day or vice versa. Of course that means there are more than just DIY trout dinners to be had. Some of the other fish known to swim around Sea Island are flounder, black drum, red drum, tarpon, Southern kingfish and sheepshead. To learn more about deep water lots and other Sea Island, Georgia, real estate thatâ€™s perfect for outdoor types, please contact usÂ at DeLoach Sothebyâ€™s International Realty today.